I honestly LOVE ringing in the new year. It’s the perfect opportunity to look back and reflect on all the happenings of the past year, but forces forward thinking for the upcoming one. Taking inventory on all the concepts that worked versus what didn’t work helps prepare for a new year- A new beginning. 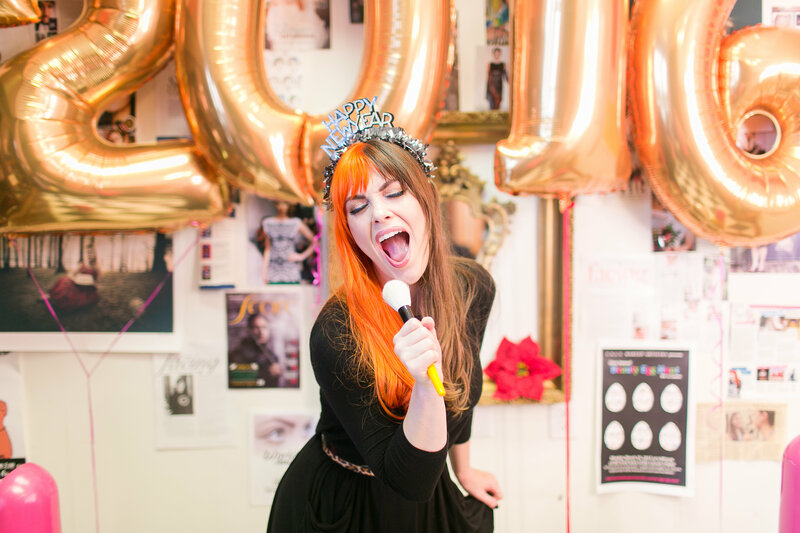 With that being said, here are my business highlights of 2015 as well as the “newness” of 2016. 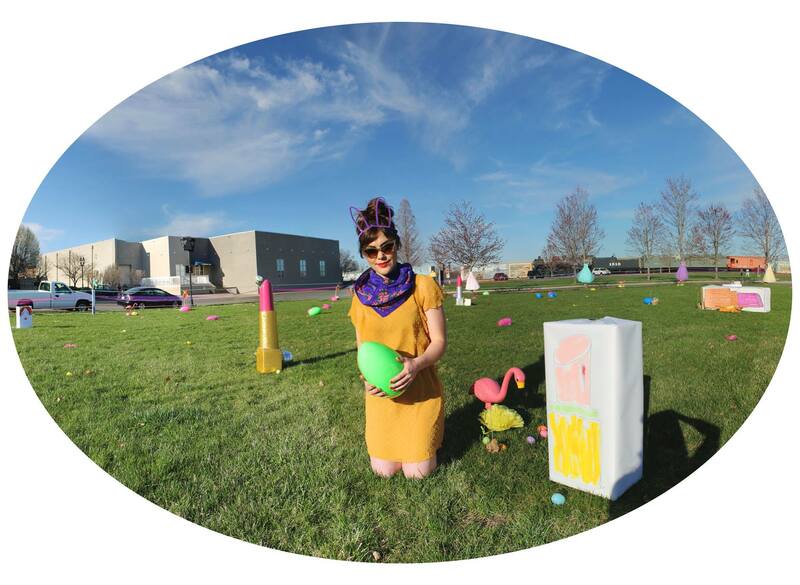 I created the first annual Face Makeup Artistry Beauty Egg Hunt. It was held on the front lawn of the Carson Center in downtown Paducah. On cue, participants scurried and hunted for extra special eggs, containing popular beauty products! A fun, unique version of a festive pastime was brought to life! Proceeds went to a philanthropic organization I hold near and dear to my heart: Look Good Feel Better. It felt like the perfect way to support an organization that focuses on women’s BEAUTY needs and desires during cancer treatment. I’ve managed to create a specialized line of custom cosmetics, the most unique product being the PADUCAH Makeup Compact. 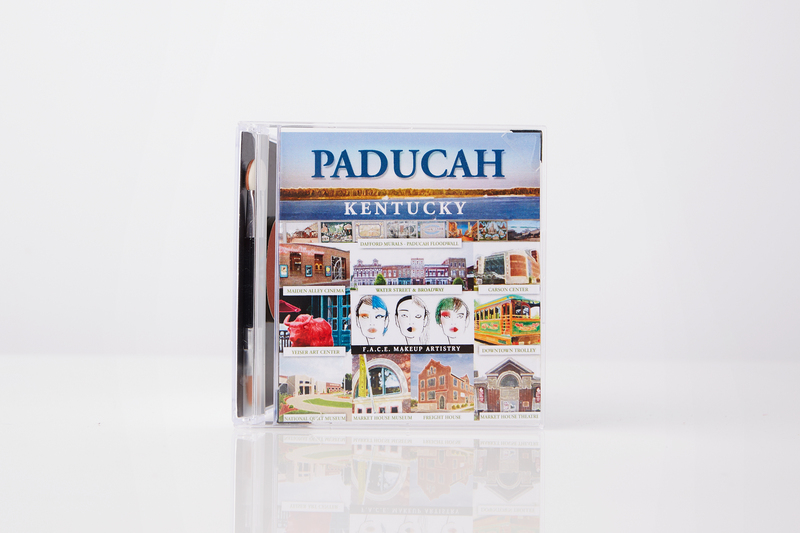 It is a mini masterpiece that creates a sweet reminder of the sights and experiences of Paducah, Kentucky. 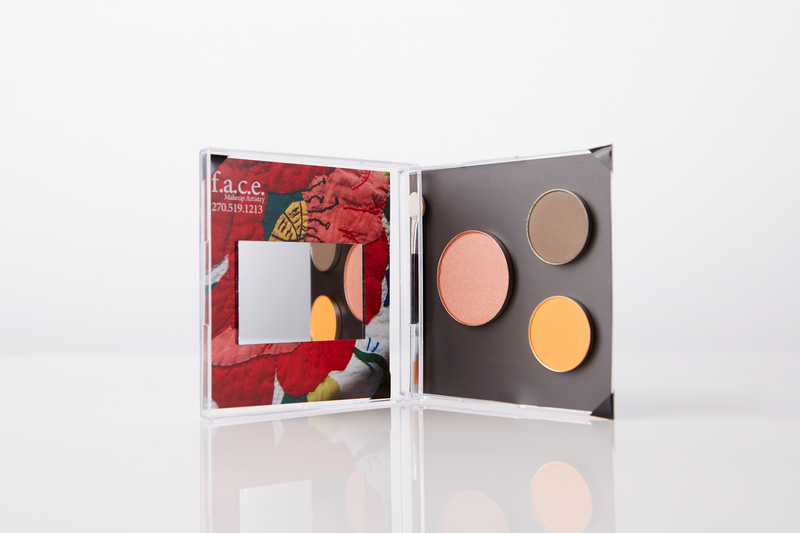 Inspired by unique souvenir vintage makeup compacts created as mementos depicting iconic landmarks, this useful artistic palette of color brings an aesthetic quality to the makeup application experience. This compact serves as a reminder of one’s time in Paducah. My business is both service and retail, so it has been a little difficult to balance being in the studio when I have meetings and bookings outside of it. Here are the new business hours (unless I am booked for a gig…I still strongly recommend contacting me to double check my schedule). Repeat Lessons: For any client that has previously booked a Private Makeup Lesson, they are eligible for a Repeat Lesson/Refresher Course for 50% off. Body Makeup: For clients that want to continue a glowing/dewey appearance from the face to the decollate, arms, and legs. Beginning on Jan. 5th 2016, Lipstick Tubes will be available for purchase. January 14 (Thurs. ): Pantone: Colors of the Year 6:00pm-7:00pm $25, redeemable in the products used during the demo. January 25th (Mon): Brush 101 6:00pm-8:00pm $75, or $35 for repeat attendees, or Complimentary to owners of entire brush collection purchased on Shop Small Saturday. February 22nd (Mon. ): Flawless Face 6:30pm-7:30pm. $25, redeemable in products used during demo. March 21st (Mon.) Spring Trends 6:30pm-7:30pm. $25, redeemable in products used during demo. April 12th (Tues.) Bridal Makeup 6:30pm-7:30pm. $25, redeemable in products used during demo. April 25th (Mon.) Lashes O’ Plenty 6:30pm-7:30pm. $25, redeemable in products used during demo. May 12th (Thurs.) Resort Trends 6:30pm-7:30pm $25, redeemable in products used during demo. May 24th (Tues.) Wow Brows 6:30pm-7:30pm $25, redeemable in products used during demo. June 16th (Thurs.) Smokey Vs. Stormy Eyes 6:30pm -7:30pm. $25, redeemable in products used during demo. July 12th (Tues.) Bright Eyes. 6:30pm-7:30pm. $25, redeemable in products used during demo. July 25th (Mon.) Contour & Highlight 6:30pm-7:30pm. $25, redeemable in products used during demo. August 9th (Tues.) All In The Details 6:30pm-7:30pm. $25, redeemable in products used during demo. September 12th (Mon.) Fall Trends 6:30pm-7:30pm, $25, redeemable in products used during demo. October 10th (Mon.) Vintage Face 6:30pm-7:30pm, $25, redeemable in products used during demo. November 15th (Tues.) Holiday Trends 6:30pm-7:30pm, $25, redeemable in products used during demo. December 12th (Mon.) Sparkle + Shine 6:30pm-7:30pm, $25, redeemable in products used during demo. My website allows clients to conveniently book an appointment online and to pay ahead of time in full. Clients have 24 hours from booking time to cancel the appointment and have their payment returned if they book over 1 week (7 days) out from appointment date. If clients book less than 1 week (7 days) out from appointment date, the payment cannot be returned. If client does not wish to book online, credit card information can be called in over the phone or cash can be submitted in advance. Appointments are not officially booked until full upfront non-refundable payment is made. Checks are no longer accepted for services. Anyone that needs to move/reschedule an appointment for excusable reasons (senior picture date has undesirable weather; photographer reschedule; Event date rescheduled), may use the full payment as transferable credit for product purchases. Sitting Fees: For anyone booking a Private Makeup Lesson, the appointment is designed for personal, customized attention for 1 person. For any client bringing in another person to the lesson, a sitting fee of $50 per person will be charged. Checks are not accepted for in-studio product purchases. Payment may be made with cash or card. Product orders are not placed until upfront full payment is made via card or cash.